A man who disguised himself as a Deliveroo rider to commit robberies has been jailed. The moped rider was sentenced at Southwark Crown Court to five years' imprisonment on Friday, 22 February. 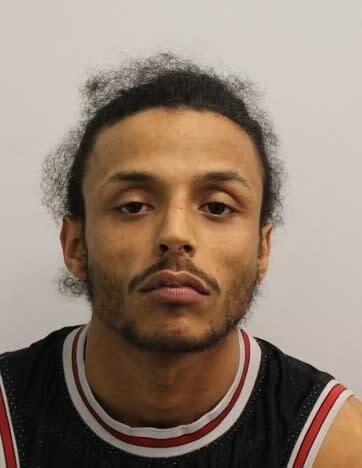 Michael Ahmed, 25, (10.02.94) of Grayshott Road, Wandsworth, was sentenced to five years for robbery; five years for attempted robbery; and four years for possession of a firearm (namely a stunning device) to run concurrently. 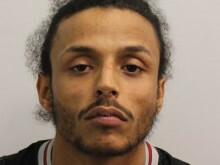 He had previously pleaded guilty to the offences on Wednesday, 16 January. When committing his crimes, Ahmed wore a Deliveroo jacket and carried a Deliveroo delivery bag in the hope that this subterfuge would deter police from stopping him. It was later confirmed that he had no affiliation with the company. Additionally, he had taped up a letter and digit on the moped's registration plate in the hope that it would not be recognised by police and ANPR cameras. At 00:20hrs on 30 November 2018, Ahmed got off his moped on Lancelot Place in Westminster and walked up to a 17-year-old youth who was parking his car. He threatened the youth with a stunning device and demanded his watch. The victim ran away as Ahmed began searching the inside of the car and took the car keys before leaving. A short time later, at 00:43hrs, Ahmed pulled up outside Carlton Tower on Cadogan Place in Kensington and Chelsea and approached a 25-year-old man who was parking his car. Ahmed demanded that the driver give him everything he had and tried to touch him with the stun device. A struggle ensued in which the victim felt a sharp pain in his right hand. He managed to disarm Ahmed, who ran back to his moped and fled. Detectives from Operation Venice, which is dedicated to tackling moped-enabled crime, carried out a robust investigation. DNA was taken from the stun device and positively identified Ahmed as the perpetrator of both crimes. 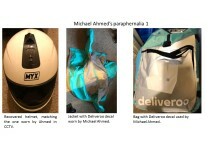 Officers also searched an address in Wandsworth associated with Ahmed and seized his motorcycle helmet, jacket and delivery bag. The moped was found across the street, hidden under a cover. On 17 December 2018, officers searched an address on Huntingfield Road in Wandsworth where they found him hiding in the loft. He was arrested on suspicion of robbery, attempted robbery, possession of a Section 5 firearm, two counts of burglary and aggravated vehicle taking. He was remanded to court and appeared at Westminster Magistrates' Court on 19 December 2018. 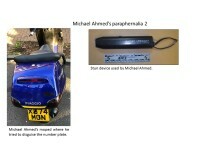 Detective Constable Simon Pleavin, from Operation Venice, said: "Michael Ahmed was ruthless in his attempts to rob unsuspecting people and was prepared to inflict harm on them by using a stunning device. "Police are taking every opportunity to arrest and prosecute those involved in moped-enabled crime as this result proves. Ahmed's lengthy sentence curtails his violent offending and he faces the next few years in prison. "Our officers are committed to keeping the public safe and are determined that such offenders are brought to justice."